Packed two-on sewing on partial accordion fold with double cords, plexiglas boards with inset materials and titling, leather hinges with suede doublures, silk endbands with bead on the back, painted edges, reverse endcaps leather onlays. 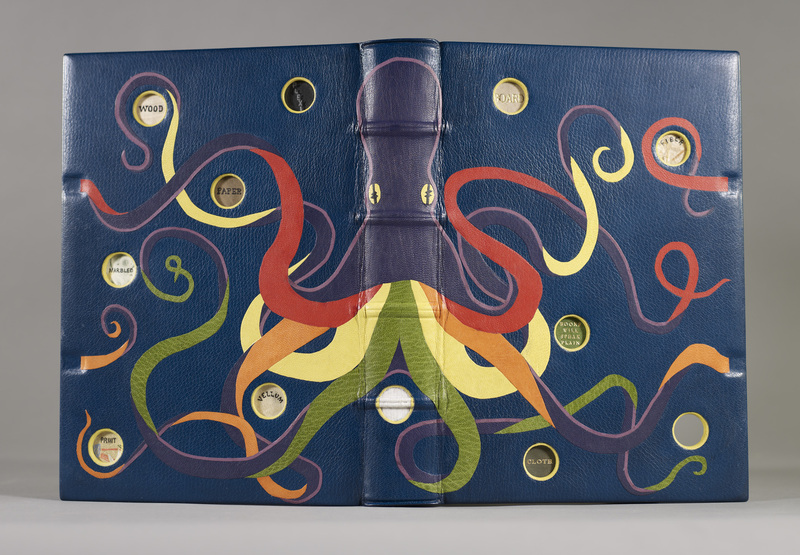 Ethan Ensign has been a bookbinder and conservator for 19 years. He still can’t stop dreaming about books. Wonderful work! I’m so impressed by his creativity and intricate details. Beautiful! This is just WOW. Impressive work and vision.